This design takes a little more precision than my usual pictorials. It is still quite easy but you do need more of a steady hand. I had this design on all of my nails but it would look great as accent nails. It is a noticeable design and I received many comments on it. Apply base coat to the nail. Let dry. 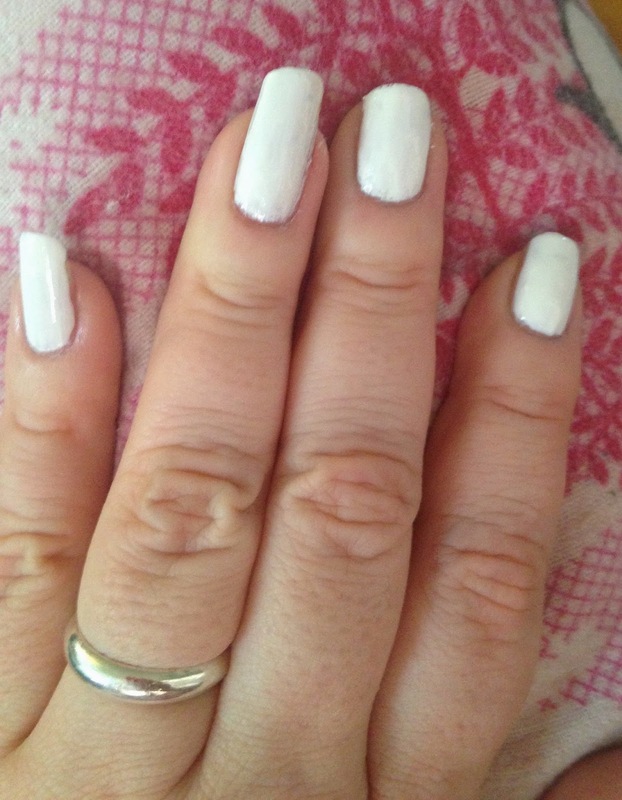 Apply white nail polish to the nail, you might need 2 coats to increase the opacity. Wait several minutes to let the white polish settle (this prevents smudging). 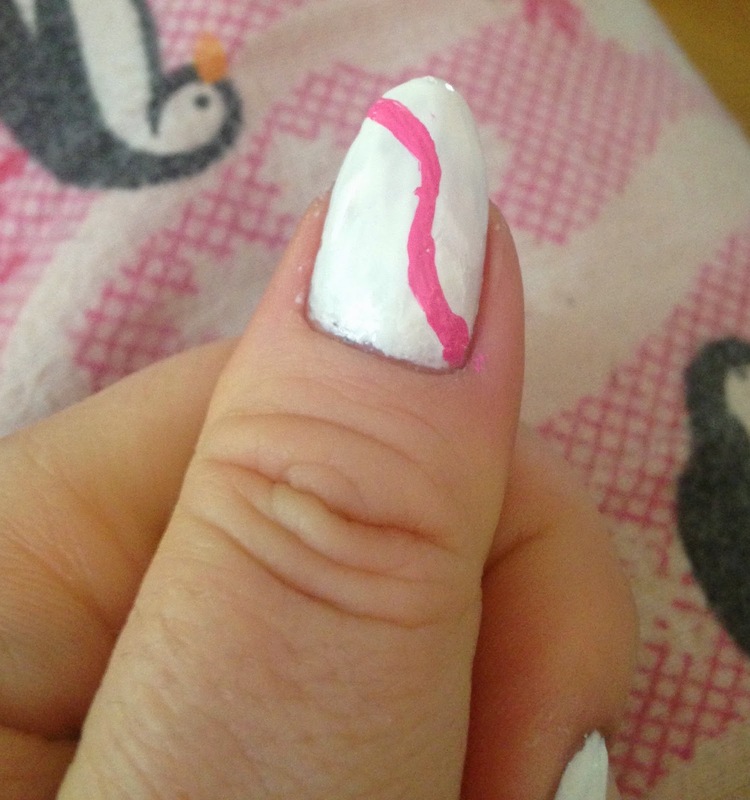 Using a nail striper(I used a toothpick) dipped in a dark pink polish, apply an "S" shape on the nail. 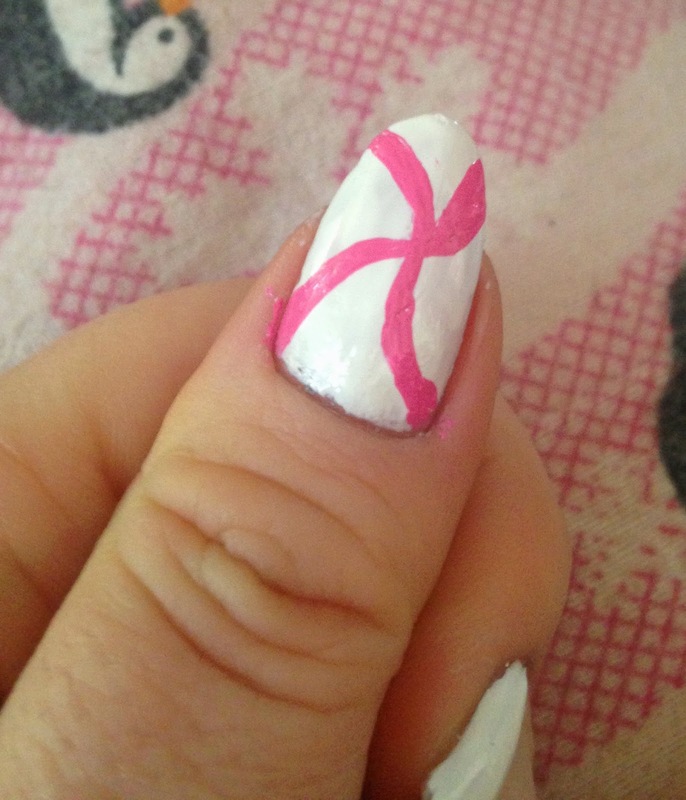 I like to place a dot in the middle of the nail and curve the top part first and then curve the bottom part. 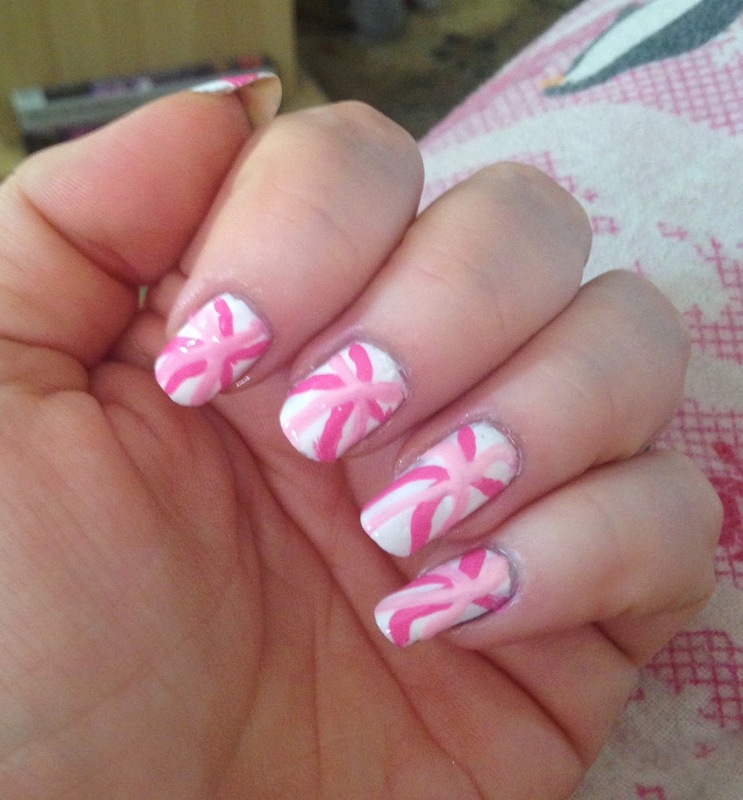 I applied 2 dark pink swirls. 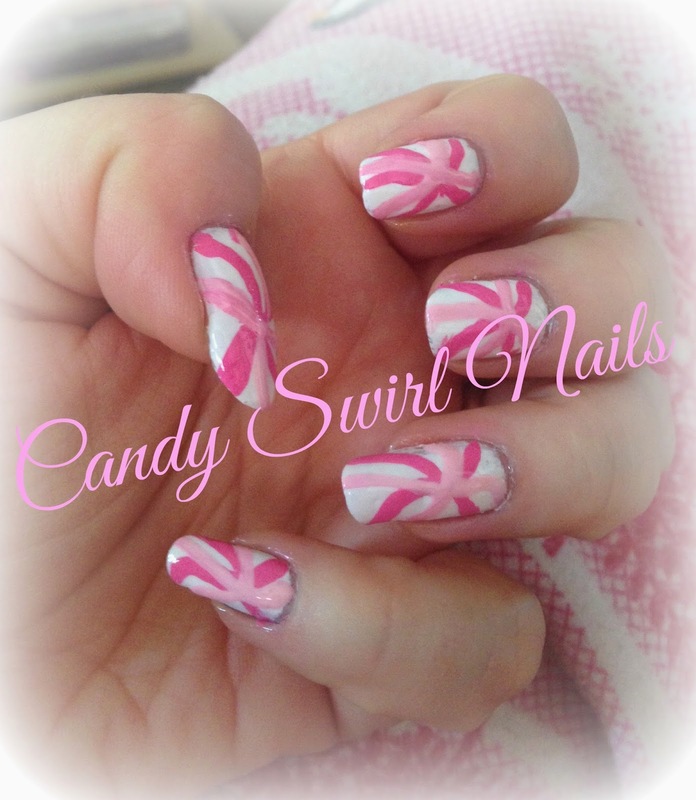 Using the same technique, this time using a light pink polish I made 2 more swirls. 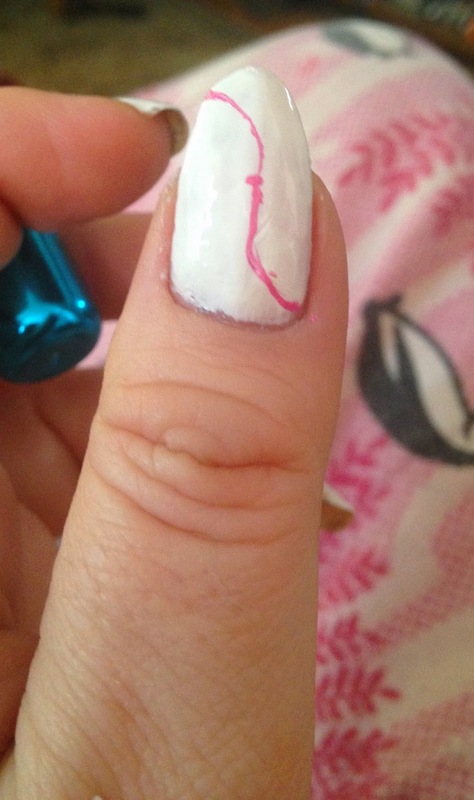 Allow the polish to dry for a few minutes, and apply some top coat to seal in the design. 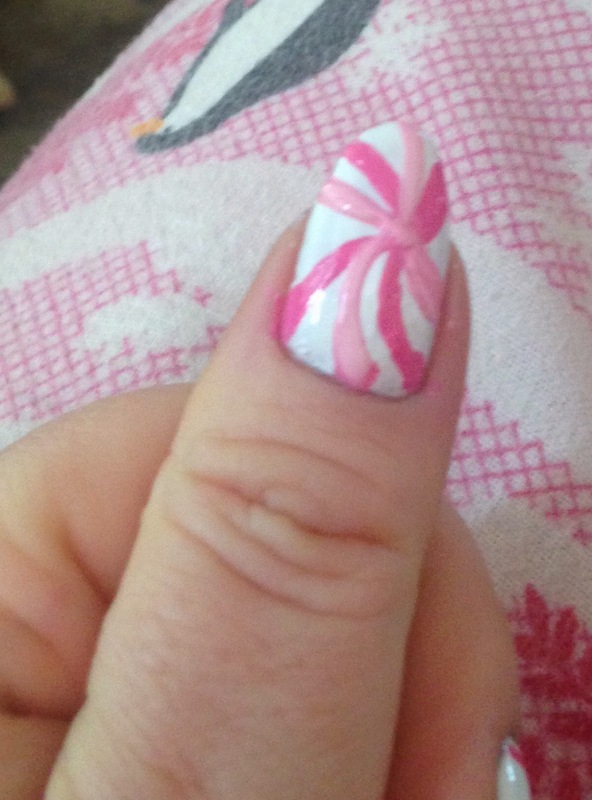 I could have curved the tips of the nails better but I thought it was good for a first attempt.